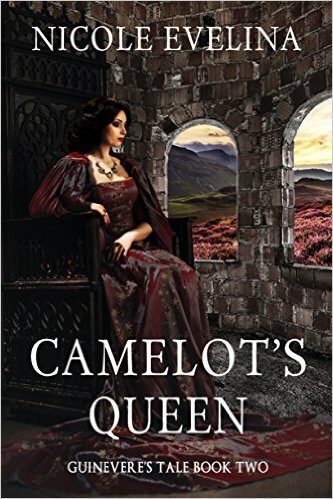 Nicole Evelina is touring the blogosphere with the release of her new book, Camelot's Queen, book 2 in her Guinevere's Tale Series. I thoroughly enjoyed the first book Daughter of Destiny (click on title to check out my review). Time restrains prevented me from reviewing this new one as part of tour (it's loaded on my kindle and ready for a long plane ride this weekend). But I am thrilled to offer this excerpt and a chance to win a copy of this new book. Enjoy! (I know I will). I made it to my room and slammed the door. Alone at last, I leaned against the door, struggling to catch my breath. Tears spilled over as the enormity of the day finally sank in. I slid down to the floor and ran my hands through my hair. How could my life have changed so much in only a few hours? I thought Arthur had grown to love me, but he had just accepted a former lover back into his confidence after only having been reunited with her for a few hours. What did that mean for my marriage? I didn’t know how long I spent contemplating my situation, but just as quickly as the tears had come, I started laughing. I was being ridiculous. Arthur had had to learn to live with Aggrivane at court long ago. Granted he’d sent my former betrothed on missions away from Camelot as often as possible, but he had still learned how to cope with his presence. I was behaving like a child. Galen had been right the day we argued in the forest so many years before. I really was worse than a fisherman’s wife. And worse, I had changed little with the passage of time. I stood, straightening my dress and mentally preparing myself to apologize to them both. After a few deep breaths, I went back down to the meeting room, expecting to find Arthur and Sobian discussing the finer points of her new role. But to my surprise, the room was empty. Octavia came in, holding a tray to collect the ale pitcher and our used glasses. “I will be,” I reassured her. Octavia made a noise indicating she wasn’t so certain then busied herself cleaning up the table. That was when I saw the lone sheet of paper. Thinking it to be notes from Arthur and Sobian’s discussion, I bent over the table to get a better look. My blood turned to ice. The letters were formed of patterns made by varying lengths of horizontal, vertical, and diagonal lines. It was written in Ogham, the ancient language of the Druids, so it could not have come from Arthur. He hadn’t studied with them long enough to have learned it. Plus, its message was not one a husband leaves his wife. I ran to Arthur’s room, rubbing my hand over the goose-pimpled flesh of my arm. “You may wish to rethink your decision,” I said as I entered. I held the paper out to him. “This was left in the meeting room.” I shivered again. I grabbed it back, irritated beyond decorum. After what had happened with the madman and Sobian, I didn’t think I could take much more. History remembers Guinevere’s sin, but it was Arthur who transgressed first. Forced into a marriage she neither anticipated nor desired, Guinevere finds herself High Queen, ruling and fighting alongside Arthur as they try to subdue the Saxons, Irish and Picts who threaten Britain from every direction. Though her heart still longs for her lost love, Guinevere slowly grows to care for her husband as they join together to defeat their enemies. 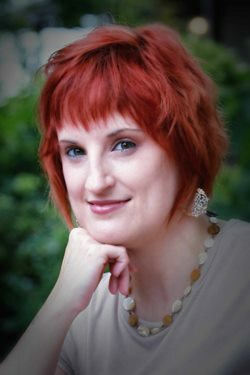 Nicole Evelina is a St. Louis historical fiction and romantic comedy writer. Her debut novel, Daughter of Destiny, the first book of an Arthurian legend trilogy that tells Guinevere’s life story from her point of view, has been short-listed for the Chaucer Award in Early Historical Fiction. Camelot’s Queen is its sequel. Later this year, she will release Been Searching for You (May 10), a romantic comedy that won the 2015 Romance Writers of America (RWA) Great Expectations and Golden Rose contests, and Madame Presidentess (July 25), a historical novel about Victoria Woodhull, America's first female Presidential candidate, which has been short-listed for the Goethe Award in Late Historical Fiction. Giveaway: Print is open to US addresses only and eBook is open internationally. Contest closes May 13th. To enter leave a comment below, for more entries spread the word (leave link in a comment), like authors FB page or JustOneMoreChapters FB page also. Good luck! Thank you so much for having me on your site! I hope you enjoy the book when you get a chance to read it. 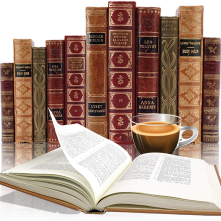 Hi Margaret - I'm currently reading this book and, like the first book, I'm loving it. You'll have a great time with it on your trip. Safe trip! This is such a wonderful addition to my Arthurian collection. I would love to win another copy to gift my niece.